Malvern Hill Barnum has the most unusual name of all those who have served as Commander-in-Chief of the Military Order of the Loyal Legion of the United States. He is also probably one of the few people in history named for a Civil War battle. Malvern Hill was born on September 3, 1863 in Syracuse, New York. His father, Bvt. Major General Henry Alonson Barnum named his second son after the famous battle in the Seven Days Campaign against Richmond. Henry Alonson Barnum, a native of Jamesville, New York, was educated at the Syracuse Institute and became an attorney. He was elected a captain in the 12th New York, served at the first battle of Bull Run, and then in the Peninsular Campaign. At the Battle of Malvern Hill, July 1, 1862, he was seriously wounded and left for dead on the battlefield. Another officer's body was buried on the field with a headboard identifying it as that of Major Barnum who had actually been taken to Malvern House by his own men. He was captured by the advancing Confederate forces and incarcerated in Libby Prison in Richmond and was then exchanged. His wound was quite serious, a musket ball having passed through his left lower abdomen. An infection set in two years later and to keep it from spreading a Dr. March passed an oakum cord through the bullet wound to keep it open so the infection could drain. Over the years, Barnum kept the cord in place himself, while gradually reducing its size to a finer thread. Following his exchange Henry A. Barnum was promoted to colonel of the 149th New York. He fought at Gettysburg in the division commanded by General John White Geary (Pennsylvania Commandery Insignia No. 198) in the 12th Corps. When the 12th Corps was transferred to the west Barnum went with it. In the Atlanta Campaign he was wounded twice more, once at Kenesaw Mountain and again at Peachtree Creek. 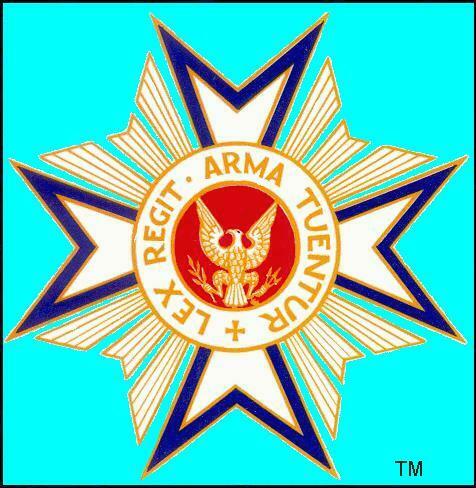 He commanded a brigade in General William Tecumseh Sherman's (Ohio Commandery Insignia No. 4567) famous "March to the Sea" and led the U.S. Army advance over the evacuated defenses of Savannah, Georgia. He became a Bvt. Brigadier General of Volunteers January 12, 1865, and a Bvt. Major General on 13 March 1865. He was made a Brigadier General on May 31, 1865. He received the Medal of Honor on July 16, 1888, for his action at Malvern Hill. He died in New York City on January 29, 1892, and was buried in Oakwood Cemetery, Syracuse, New York. His second son, Malvern Hill Barnum, also had an illustrious military career. He was appointed to the U.S. Military Academy in 1882 and graduated in 1886. Upon graduation he was commissioned a 2nd Lieutenant in the 2nd U.S. Cavalry effective July 1, 1886. He served in various campaigns in the west and was stationed at the U.S. Cavalry School at Ft. Leavenworth, Kansas. On April 7th, 1893 he was promoted to 1st Lieutenant and assigned to the 5th U.S. Cavalry. He served at that time at the U.S. Arsenal at Rock Island, Illinois. Malvern Hill transferred to the 10th U.S. Cavalry where, as regimental adjutant he was wounded at San Juan Hill on July 2, 1898, during the Santiago Campaign (for which he eventually received the Purple Heart). From 1899 to 1902 the now Captain Malvern Hill Barnum (8th U.S. Cavalry February 2, 1901) served at the U.S. Military Academy. In 1905 he was appointed aide de camp to Major General John Francis Weston (D.C. Commandery Insignia No. 8322) and served in the Philippines until 1910. He returned to the 8th Cavalry as adjutant from 1910-1911 and then was assigned to the General Staff of the U.S. Army from 1915 to 1917. He was appointed Brigadier General commanding the 183rd Brigade U.S. Infantry of the 92nd Division on October 13, 1917, and arrived in France on June 19, 1918. From December 1918 to July 1919 he was chief of the American Sector of the Inter-Allied Armistice Commission stationed at Spa (in the Chateau Villa Sous-Bois, the same palace which Hindenburg used as his headquarters) in Belgium. The Commission was charged with overseeing the terms of the German surrender. 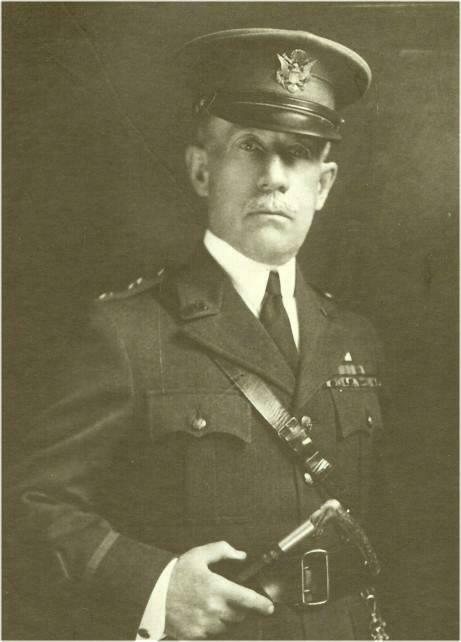 Following his tour of duty in Europe, General Barnum commanded the disciplinary barracks at Fort Leavenworth and then assumed command of the 18th Infantry Brigade on February 9, 1923. General Barnum was commissioned a Major General, U.S. Army on June 13, 1927, and retired on September 3, 1927. General Barnum became a Hereditary Companion of the First Class of MOLLUS through the Commandery of the State of California on November 5, 1909, while serving in the Philippines and was assigned Insignia Number 16062. After his retirement General Barnum moved to Brookline, Massachusetts, where he was elected Commander of the Commandery of Massachusetts in 1933 serving until 1937. In October 1939 he was elected Commander-in-Chief of the Military Order of the Loyal Legion succeeding Col. Hugh Means Thompson. General Barnum served as Commander-in-Chief until his death on February 18, 1942. In addition to the Purple Heart General Barnum was awarded the D.S.M., was a Commander of the Legion of Honor (France), a Commander of the Order of the Bath (Great Britain), a Commander of the Order of Leopold (Belgium). He also received the Croix de Guerre (Belgium) and the Order of St. Maurice and St. Lazarus (Italy). He was a member of the Naval and Military Order of the Spanish American War, the Sons of the Revolution, and Phi Gamma Delta. He belonged to the Army and Navy Clubs in Washington D.C., Boston, Massachusetts, and Manilla P.I. An avid golfer he was a member of the Sankaty Golf Club. General Barnum's older brother Morgan King Barnum was a Hereditary Companion of the First Class through the Nebraska and, subsequently, the Illinois Commandery (Insignia No. 10853). General Barnum's grandsons, Edmund M. Barnum (Insignia No. 19334) and Allen T. Barnum (Insignia No. 19681) were Companions of the Massachusetts Commandery. General Malvern Hill Barnum's great nephew, The Ven. Malcolm McGregor Barnum is a Companion of the Connecticut Commandery.